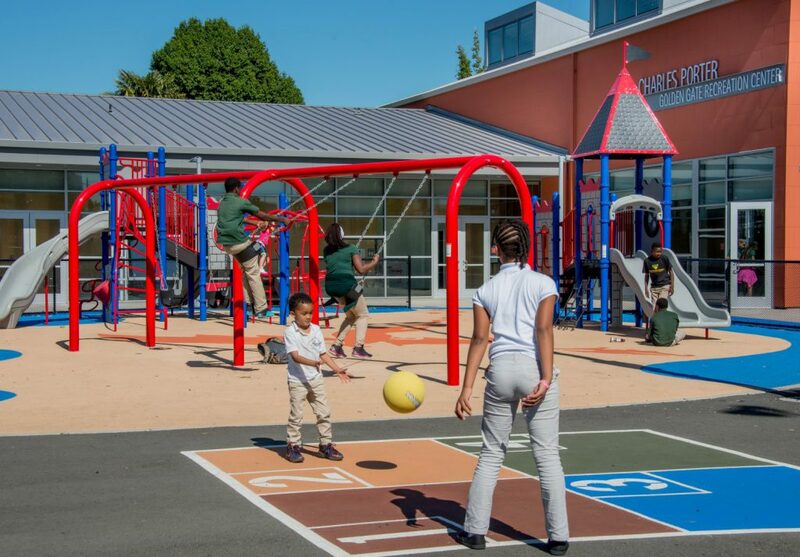 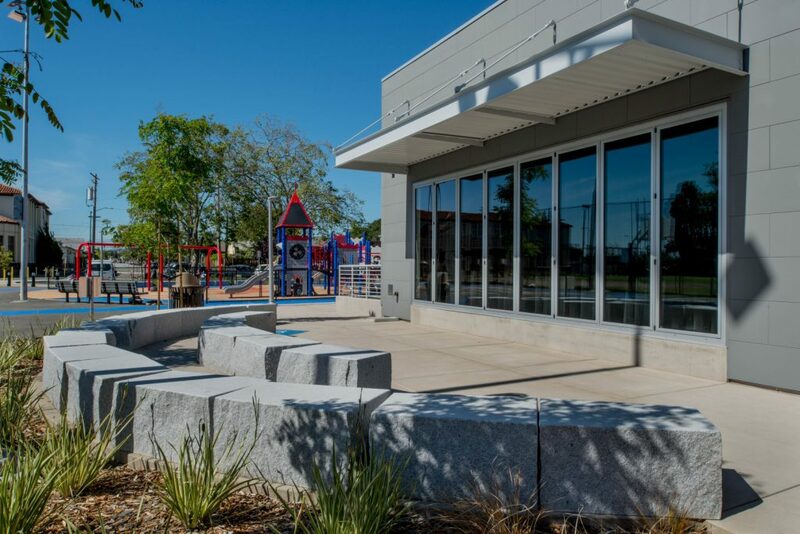 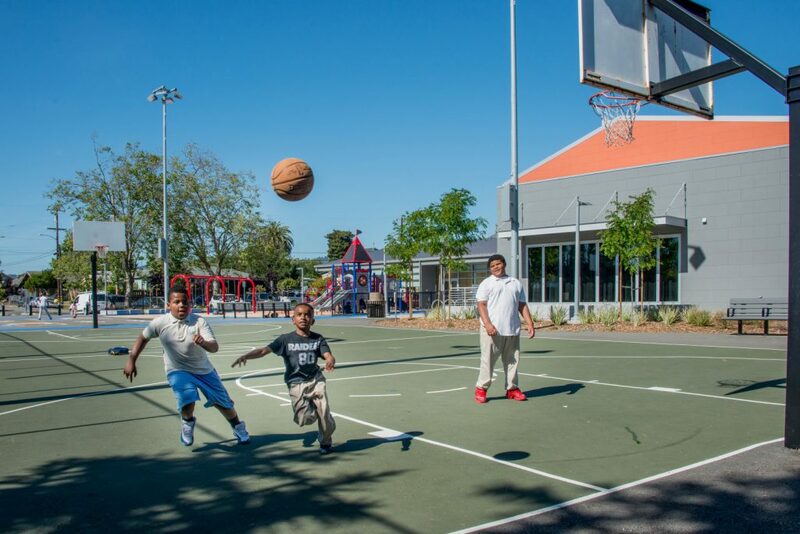 PGAdesign reconstructed an existing community center to include a new play area, entry plaza, and amphitheater and renovated the existing basketball court. 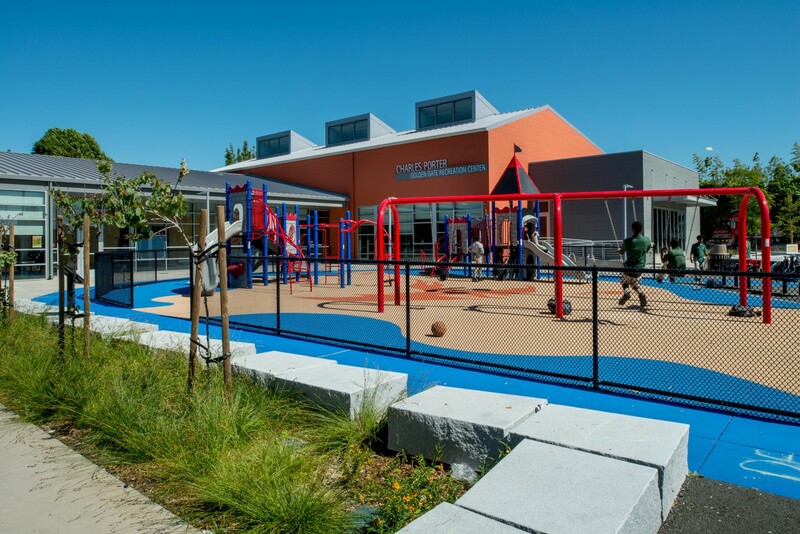 The project showcases its water conservation elements and earned LEED Silver certification and a Bay Friendly Rating. 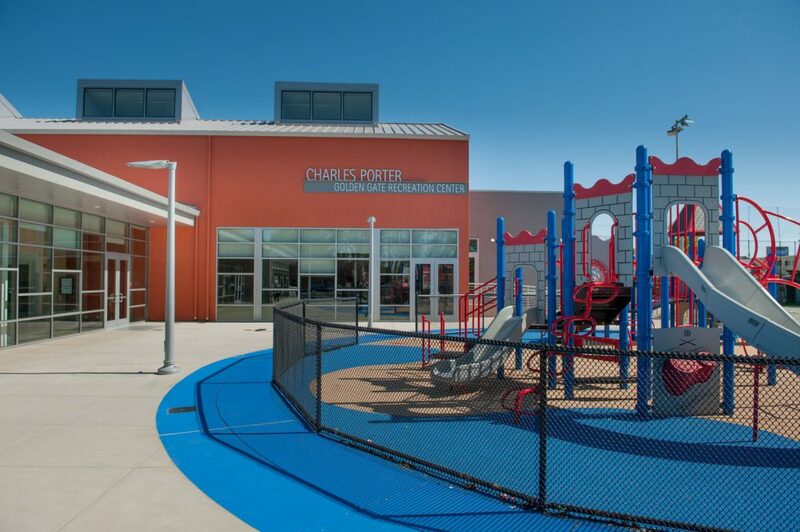 Play structures, dragon shapes in the play area’s rubber surfacing, and granite boulders reflect the play area’s castle theme. 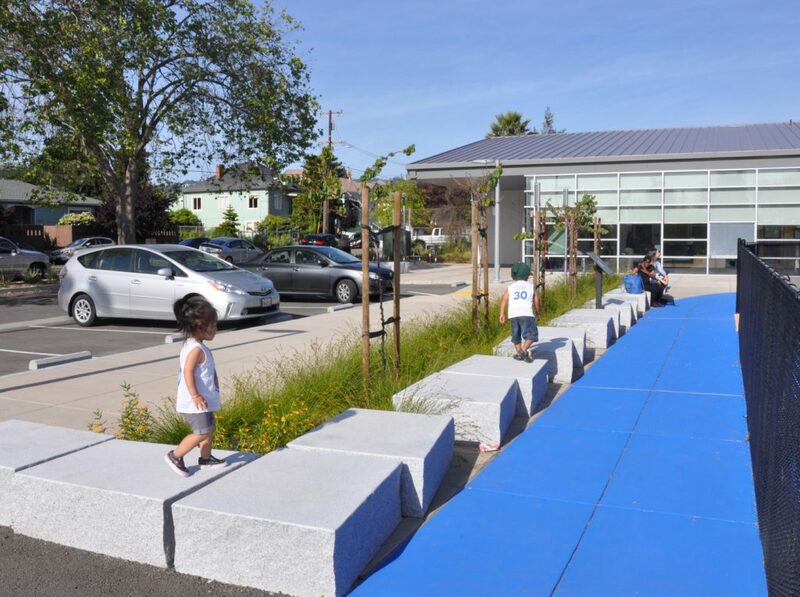 The project incorporates several sustainable practices, including low water-use planting, reduced turf areas, and paving materials that minimize the heat island effect. 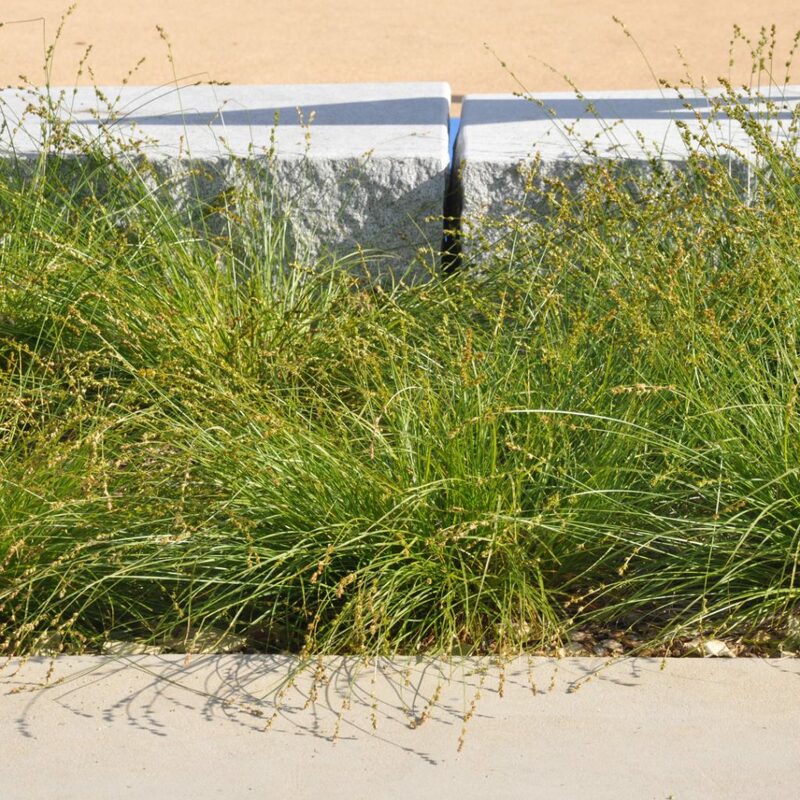 A permeable concrete subbase under the rubber surfacing channels rainfall through a series of vegetated stormwater-treatment areas that look like castle moats.